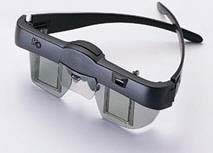 H3D Video Eyewear - Wireless liquid crystal 3D glasses. Experience incredible 3D effects! Step into your TV. The world opens up. The 3D action comes right off the screen and the effects surround you. The images are so real. Enjoy hours of great entertainment: Nature, Travel, Sports, Adventure, Horror and more! The H3D Video Eyewear is the best wireless 3D display system in the industry. They are infra-red controlled via a TV interface box supplied with your kit and are compatible with NTSC and PAL systems. The high quality liquid crystal glasses bring crystal-clear, full color and wireless 3D video viewing to your home. Use them with the latest 3D DVDs and video or record your own home videos with the Nu-View SX2000. 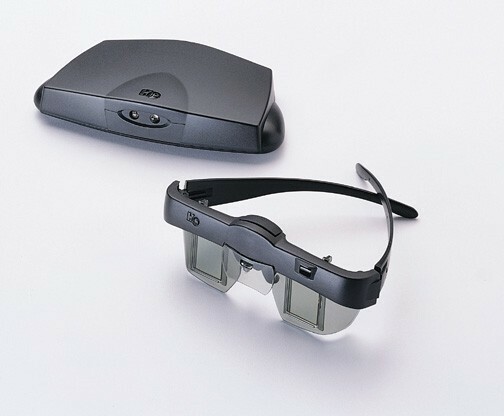 The video transmitter and wired glasses easily connect between your TV and VHS video player so you can view these and most other 3D videos and DVDs. Images take on a whole new dimension!. If you have been amazed by an IMAX 3D film, the H3D holographic-like visuals will astound you! Two pair of light weight, wireless liquid crystal 3D glasses.